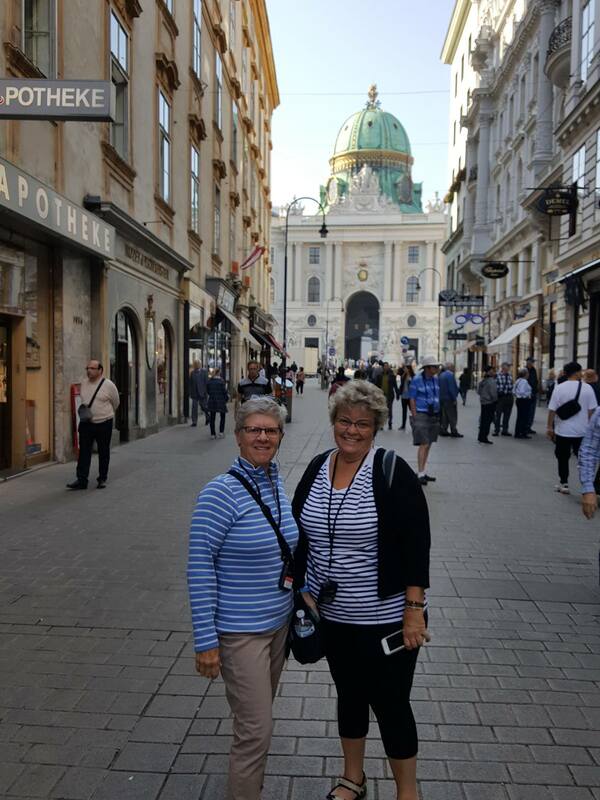 The group is enjoying their first few days in Vienna, with good weather. 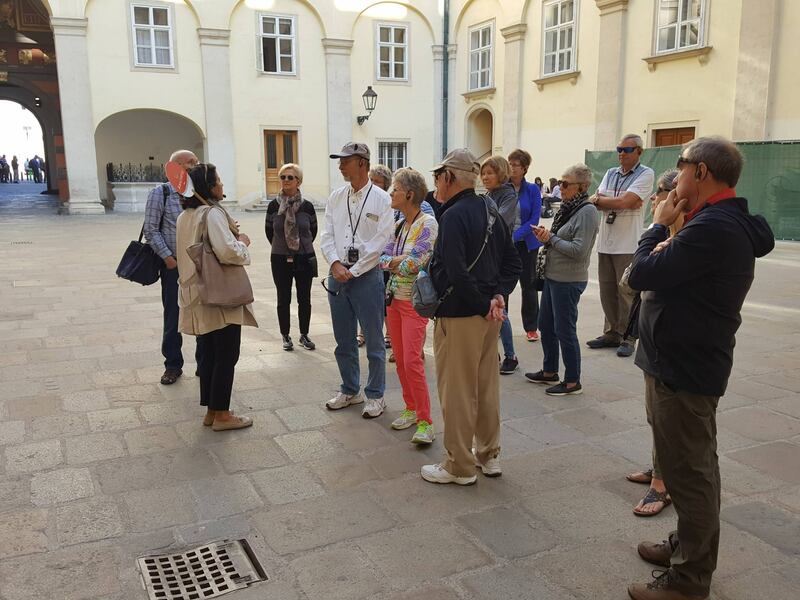 Ingrid, our guide in Vienna, offered fascinating historical facts along with humorous anecdotes as we toured central Vienna. 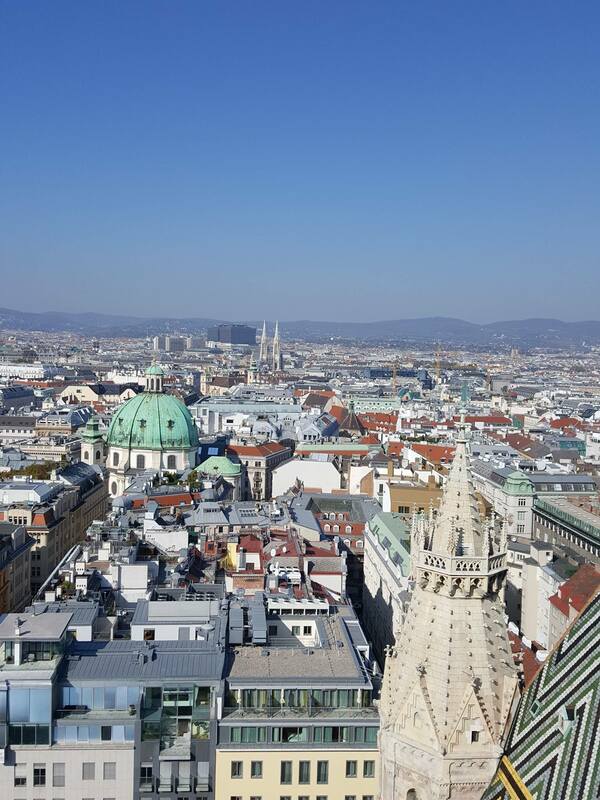 Overlooking Vienna from the North Tower of St. Stephen’s Cathedral. 343 steps up a narrow winding stairway was a bit dizzying. 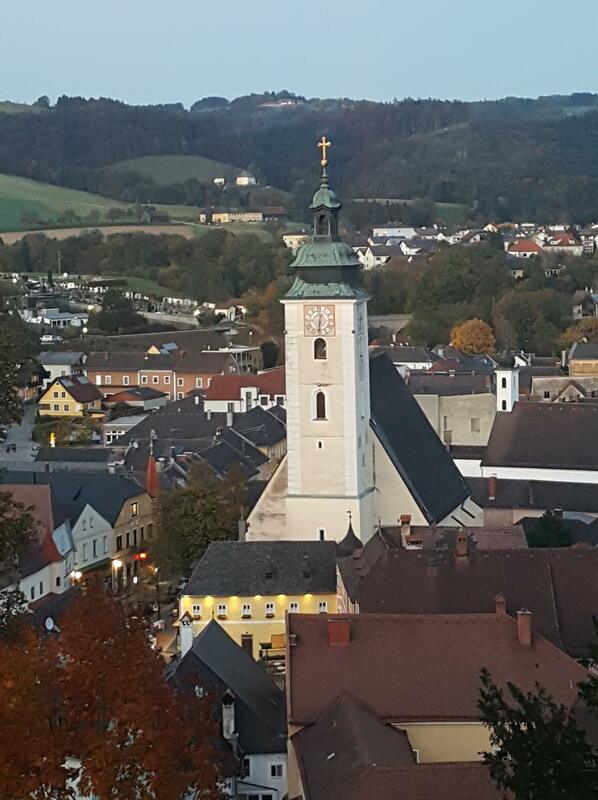 The village from the Greinburg Castle. 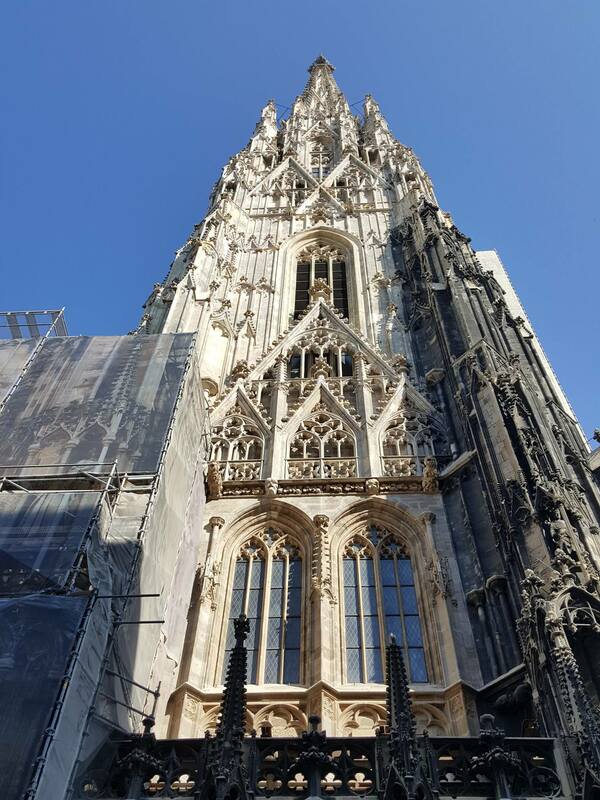 One of the most picturesque places along the Danube. 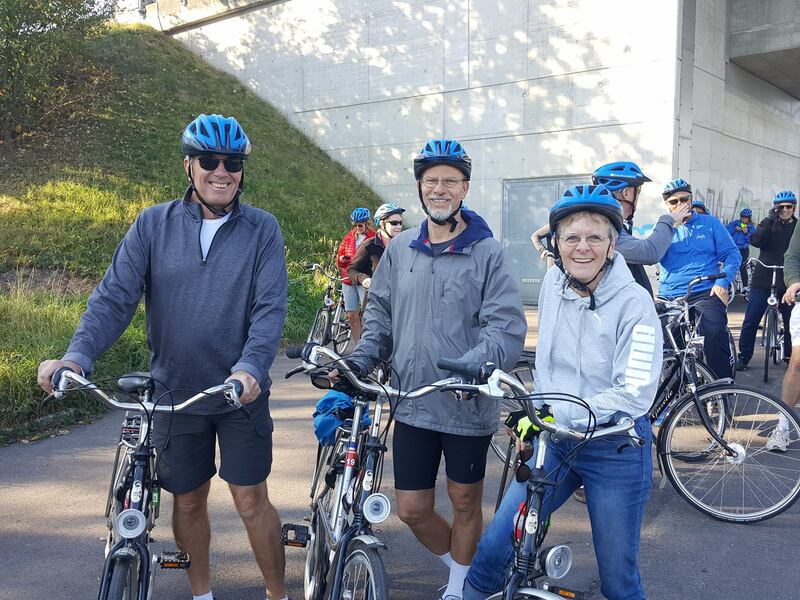 Chris, Steve and Terry enjoy a splendid day cycling along the Danube. 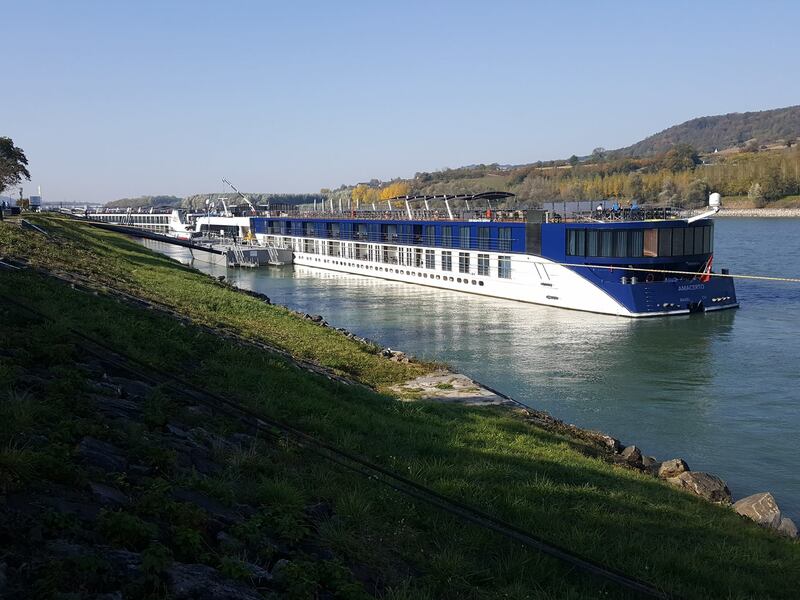 The river cruiser that the group is touring aboard.